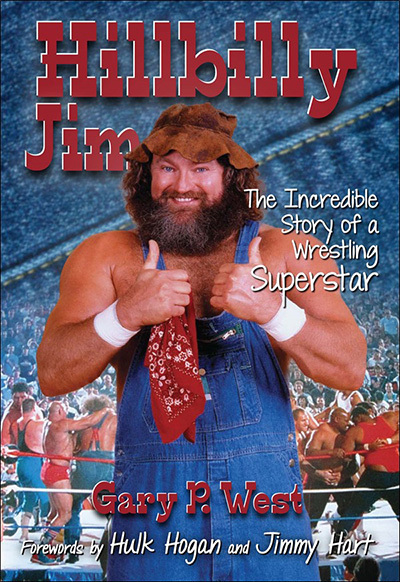 GET YOUR AUTOGRAPHED COPY OF HILLBILLY JIM’S BOOK HERE! Hillbilly Jim – The Incredible Story of a Wrestling Superstar! U.S. Shipping selected. Fee added at checkout. International Shipping selected. Fee added at checkout. Note, your payment goes directly to the the author, Gary P. West, who will hand your book to Hillbilly Jim and then ship it to you.